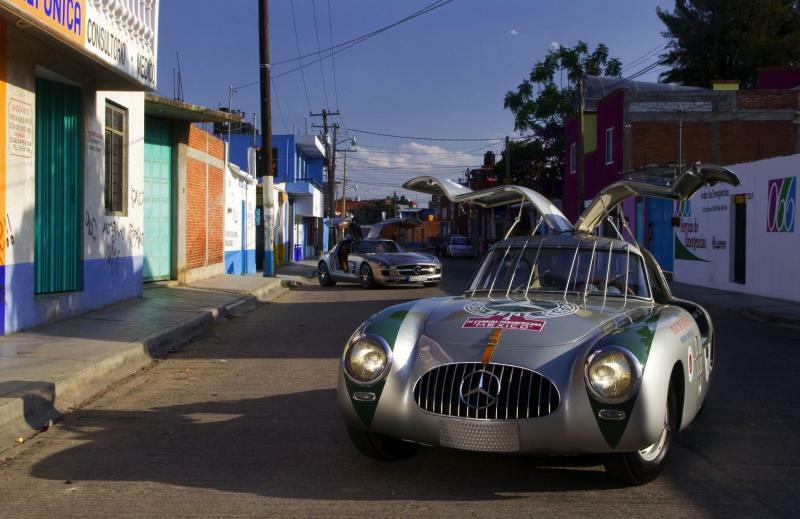 The 1952 Mercedes-Benz 300 SL, winner of the 3rd Carrera Panamericana Mexico, is returning to scene of its triumph in order to join the SLS AMG to drive once again along a stretch of the original race route in Central America. To do so the original 300 SL racing sport car (W194) will temporarily leave its place in the “Races and Records” display at the Mercedes-Benz Museum in Stuttgart. The 1952 double victory in the 3rd Carrera Panamericana is described as one of the brand’s most spectacular victories. In one of the top international races of that year’s season, Karl Kling and co-driver Hans Klenk were the first to cross the finish line after driving 3111 kilometres, at an average speed of 165.011 km/h, along a strong field of international competitors. Behind them, also driving Mercedes-Benz 300 SL, were Hermann Lang and co-driver Erwin Grupp. That race became famous in the history of motorsports after the collision of Kling’s car with a vulture at 250 km/h, which left his car with a smashed windscreen and Hans Klenk with head injuries. Fixing the car, mechanics replaced the screen but, to protect vehicle and driver in the event of a similar collision, fitted eight thin vertical metal bars, which became one of the vehicle’s most distinguishing features. Awesome pic! Was this in Mexico City? Magnificent that they got them both together over there. The character of that car is priceless - love it! 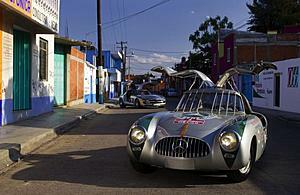 Revist one historic race in Carrera Panamericana, Mexico..